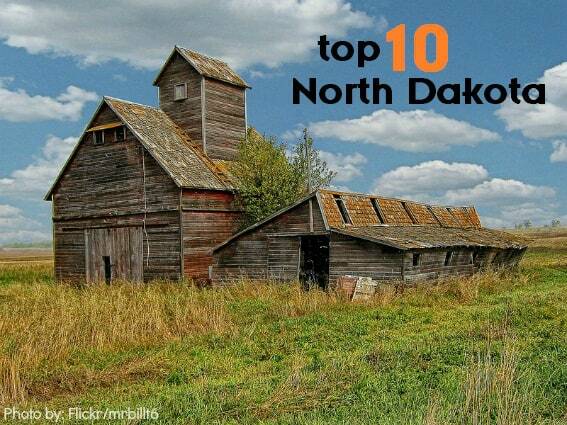 North Dakota invites visitors to come with the tagline, “Arrive a Guest. Leave a Legend.” This phrase precisely describes North Dakota. Legends abound in this great state. Legends exist in the stories passed down from generations of Northern Great Plains Indians. Legends exist in the diaries of Lewis and Clark, who found Sakakawea here and asked her to join their Corps of Discovery. Legends exist in the biography of Theodore Roosevelt who found that the North Dakota badlands strengthen character. North Dakota is the land of legends and they invite your family to be their guests. 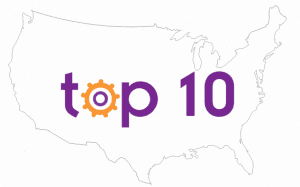 Here are the top ten things for families to do as they arrive as guests and leave as legends in North Dakota. It’s hard to miss the 60 ton buffalo sculpture welcoming visitors to the Jamestown Frontier Village. According to the statue’s creator, the purpose of this sculpture was to “create something so big and magnificent, that passersby would have to stop in the city.” It worked! 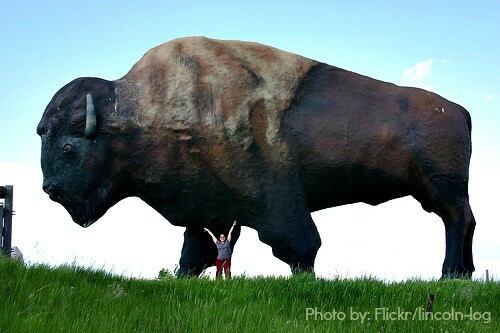 The world’s largest buffalo welcomes visitors at the gates of a real frontier village. A trading post, saloon, jail, Louis L’Amour writers shack, and an old-fashioned soda fountain are just some of the sites to explore in this prairie pioneer town. Amid the nearby pasture, visitors might even catch a glimpse of White Cloud, the rare white buffalo, grazing within the village’s buffalo herd. Entrance to the village is free. Anglers can pursue their passion in North Dakota where world-class lakes and an endless fishing season offer the ultimate fishing experience. Expose kids to fishing at one of the largest man made lakes in the United States, Lake Sakakawea, with access at either the Lewis and Clark State Park or Lake Sakakawea State Park. 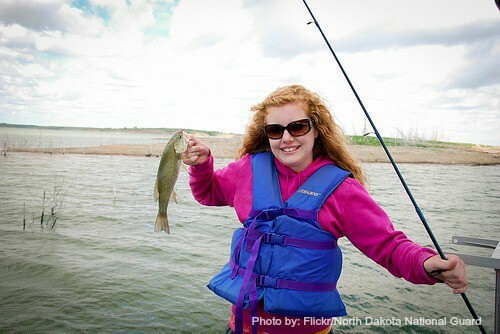 Some of the best fishing in the state can be found at North Dakota’s largest natural lake, Devils Lake, with access at Grahams Island State Park. The Fargo Park District offers several urban fisheries along the Red River including Lindenwood Park pond or the Woodhaven Fishing Ponds where kids can practice their angling skills or compete in an ice fishing derby. Study up on these great tips for fishing with kids. Learning is synonymous with playing at The Children’s Museum at Yunker Farm which sits in the first brick house built in the Dakota territories. Inside this historic red brick farmhouse lies over 50 hands-on exhibits which seek to engage and stimulate kids’ creativity. 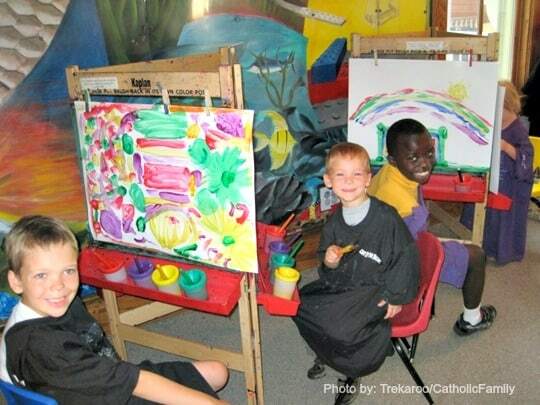 The atmosphere is homey with each room designated as a new place to play, learn, and explore. Outside the museum sits 55 acres of additional fun including a miniature train, carousel, playgrounds, children’s alphabet garden, nature trails, miniature golf course, and plenty of wide open space inviting kids to explore their universe. From North Dakota’s geological record to its role in western expansion, the North Dakota Heritage Center displays exhibits which explain it all. The Heritage Center’s collection is displayed in chronological order, allowing visitors to literally walk through the history of North Dakota, beginning with geologic time, early peoples, then ending with yesterday and today. Highlights of this museum include children’s galleries and learning labs with high-tech interactive exhibits. Dinosaur loving kids will especially love seeing the mummified dinosaur fossil on display. This rare fossil (nicknamed “Dakota”) was discovered in North Dakota with skin, bones, and tendons preserved in sandstone. The museum’s collection is vast, and it’s getting even bigger! 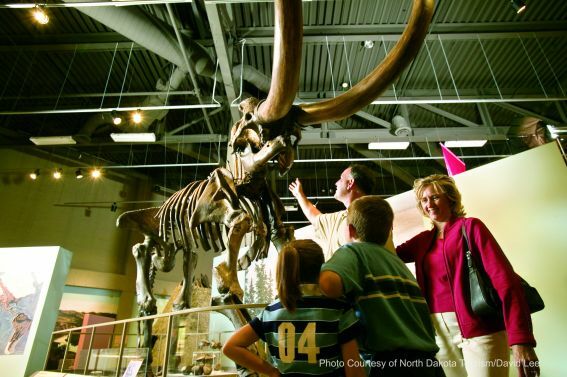 The North Dakota Heritage Center is expanding and by spring 2014 it will be nearly double in size displaying even more of its immense historical and scientific collection. Dinner and a movie have a whole new meaning in Medora, North Dakota during the summer months. A pitchfork, a Ribeye steak, and a cauldron of boiling oil results the Pitchfork Steak Fondue, a wild west outdoor cowboy cookout situated high on a scenic bluff overlooking the scenic Dakota badlands. 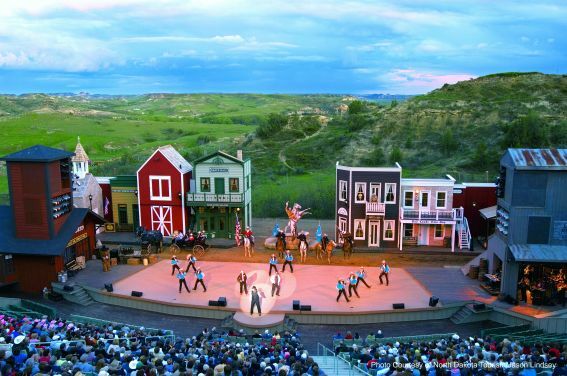 After dinner get ready for the show because the Dakota badlands become the backdrop for one of the most popular family entertainment traditions in the state, the Medora Musical. This professionally produced western style variety show pays tribute to American patriotism and the Old West through a combination of musical performances, variety acts, and comedy. Wednesdays and Sundays are Kids Day in Medora, which means free admission to the Medora Musical. Make it an overnighter: find kid friendly lodging in Medora. Celebrate the history and culture of the Northern Great Plains Indians at The Knife River Indian Village National Historic site located on the Upper Missouri River Valley. This abundant area was a major Native American trade center for hundreds of years and now features a museum displaying many artifacts, including a replicated earth lodge. If you visit during the summer months, be sure to check out the free kids’ camps which offer stories, crafts, and activities which seek to teach kids more about Northern Great Plains Indian history and culture. 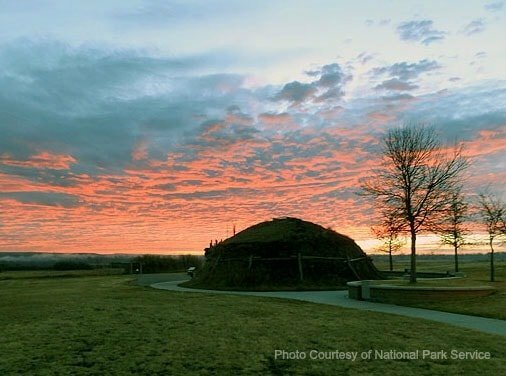 Situated on bluffs overlooking the Missouri River sits another site rich in early Native American history: Fort Abraham Lincoln State Park. 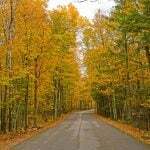 Getting to this state park is fun, just hop on the Fort Lincoln Trolley for a scenic ride through the Heart River bottoms to your final destination. This park features reconstructed Mandan Indian earth lodges, a museum, and many interpretive exhibits. Drive the Enchanted Highway, a 32-mile stretch of paved county highway between Regent and Gladston where fanciful metal sculptures dot the rural landscape. These large metal creations are compliments of local resident Gary Greff, a metal sculptor and retired school teacher whose metal artwork draws many visitors to this North Dakota countryside. Subjects vary with the only commonality being whimsy and metal. 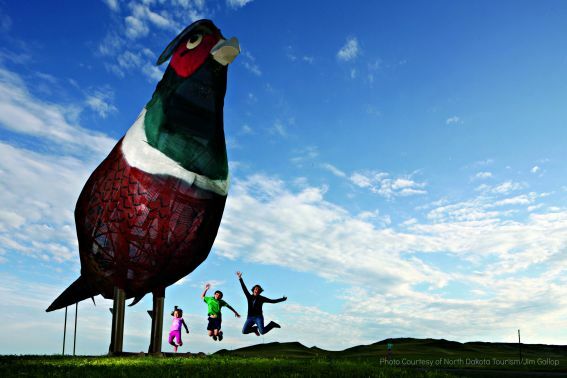 Along the way you’ll spot imaginative artwork such as the World’s Largest Tin Family, Pheasants on the Prairie, Grasshoppers in the Field, and much more. Pack a picnic and plan on stopping at each of the sculptures along the drive; parking pull-outs and picnic tables are provided. Outdoor recreation abounds throughout the state where diverse landscapes and pristine waterways prevail. North Dakota is home to several state parks and natural areas which provide plenty of outdoor recreation opportunities for nature loving families. Jump in the lake at Lake Metigoshe State Park situated in the forested rolling hills along the United States-Canadian border. This popular state park also features water shows during the summer months performed by Club de Skinautique, a local water ski performance team. Pitch a tent and explore the trails at Turtle River State Park, a natural sanctuary and preserved wetland which harbors abundant plant and animal life. Canoe down the Missouri river with access at Sully Creek State Park, or explore a pioneer homestead village at Icelandic State Park. 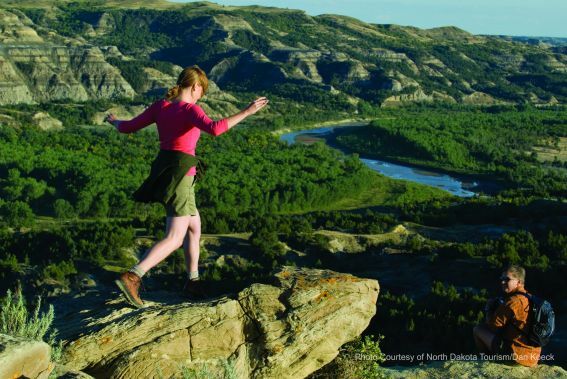 Families can get back to nature and explore all the diverse state parks in North Dakota. 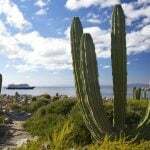 Been to these state parks? 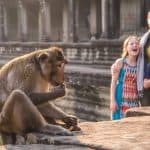 Share your scoop by clicking on the links above. 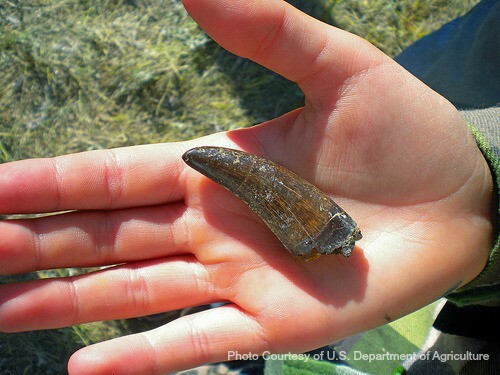 Imagine digging up a 60-million-year-old North Dakota scientific treasure! It could happen, because North Dakota paleontologists are in search of dinosaur loving kids to help excavate dinosaur fossils throughout southwestern North Dakota. Each year, the North Dakota Geological Survey cosponsors public pay-to-dig fossil excavations that are specifically geared to families. Half-day and all-day family fossil excavation programs are offered which include professional paleontological instruction, meals, transportation to and from the sites, plus souvenirs. 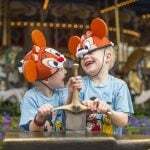 Pre-registration is required with varying dates, age restrictions, and locations. Before or after your family fossil dig, you may also want to check out the vast collation of full-scale dinosaurs on display at the Dakota Dinosaur Museum. 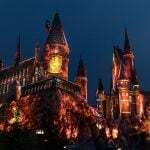 Here kids will witness one of the world’s finest Triceratops skulls, a complete rhinoceros and bison fossil, as well as several fossilized plants, mammals, and reptiles. Discover amazing dinosaur exhibits across the country. Did you know that Theodore Roosevelt believed he would never have become President of the United States if it weren’t for the time he spent in North Dakota? Roosevelt found that North Dakota’s frontier life coupled with the rugged topography of the badlands eased his grief after tragically losing his first wife. Roosevelt loved North Dakota. 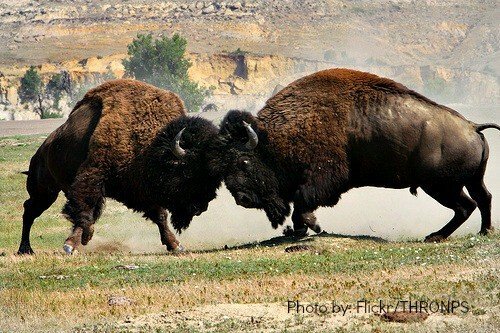 Consequently, the Theodore Roosevelt National Park was established to honor his love of the Dakota badlands and his conservation efforts while serving as U.S. President. Today, kids can experience Teddy’s beloved badlands while exploring this National Park’s remarkable history, unique geology, and abundant wildlife. Ask a ranger at the South Unit visitor center how to become a member of the Badlands Club then check out a Theodore Roosevelt National Park Family Fun Pack full of guides, games, and binoculars to use during your visit.